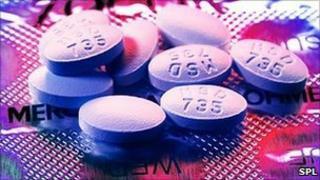 The report, published in The Cochrane Library, concluded that statins reduced death rates. But it said there was no evidence to justify their use in people at low risk of developing heart disease. The British Heart Foundation said the benefits of prescribing statins for those people was unclear. Millions of people in the UK take statins, which reduce the risk of heart attacks and stroke by lowering the level of cholesterol in the blood. They are available both on prescription and in low doses over the counter in pharmacies. The National Institute for Health and Clinical Excellence recommends statins for people who have a 20% or greater chance of developing cardiovascular disease within ten years. Previous studies have suggested that statins may benefit the healthy, but the drugs have also been linked to a range of side effects including liver problems, kidney failure and muscle weakness. This study, which reviewed the evidence from 14 trials, said there was insufficient evidence that statins should be taken by those not in at risk groups. Fiona Taylor, from the Cochrane Heart Group at the London School of Hygiene and Tropical Medicine, said: "This review highlights important shortcomings in our knowledge about the effects of statins in people who have no previous history of cardiovascular disease. "The decision to prescribe statins in this group should not be taken lightly." Amy Thompson, senior cardiac nurse at the British Heart Foundation, said: "This systematic review echoes what we already know - that statins have huge benefits for people with heart and circulatory disease, or those who are high risk as they help to reduce the risk of heart disease including heart attacks. "It is still unclear whether statins provide any real benefits for people without heart and circulatory disease and who are at low risk of developing it. "There is little to suggest that statins should be prescribed routinely for these people. However, it is good practice for health professionals to consider each person individually."